It’s been over a decade since DNS Accountants laid down its foundations. Started with the motive of serving with quality to our clients, our organisation has now come a long way ahead. It has now gained a high reputation by serving around 1200clients and receiving the best of the feedbacks from most of them. Rated as the best service provided in accounting and its related subjects, we, at DNS, in brief, provide three major services of accounting, tax planning and consulting. However, speaking in depth, our organisation focuses and specialises in accounting solutions, consultation, tax investigation and limited company formation. We as well ensure that we always try our best in improving your overall profits by the way of reduction of taxes and other expenses in every possible legitimate way. Having a widespread of our organisation in all of the UK, our services are even found in Harrow, Reading, Norwich, Northolt and many more towns and cities. In every town or city, we laid our foundation at, there had been a high demand and positive feedbacks for our team and all its members. Accountants in Portsmouth, Slough, Stevenage, and all other places are all highly qualified professionals with the highest degrees or qualifications. Situated on the Southern coast of England, lies the great and the second largest city of Hampshire, Portsmouth. It is saidto be located about 103 km south-west of the city of London. The population density of the city is said to be even greater than that of London. Portsmouth still houses an old naval port and continues using the oldest dry dock in the world. The University of Portsmouth is a major name for educational institutions in the city. Many of the city’s population work with the Portsmouth Naval Dock. Portsmouth major industry is of defence services in England. Moreover, IBM has its European headquarters in Portsmouth; Zurich Financial Services have its UK headquarters in the city, and many other dock companies have found their place in the city of Portsmouth. In the last one decade or two, Portsmouth has seen a major change in the number of stores in the market, due to increased level of tourism and population in the city. Thus, a large number of stores can be found in a cluster or throughout the city of Portsmouth. Moreover, this city is also known for its fishing fleet which provide with fresh fishes to various local restaurants and markets. With such high level and number of businesses presiding over the city, it cannot be denied that accountants play a key role in the city. Chartered Accountants, Portsmouth and other places - With the rise in the level of businesses every day, there is a need for an efficient person to manage the corporate finance, corporate tax and improvement of the position of the business. Due to such huge demand for chartered accountants in Portsmouth, there is a rise in the demand even for a trainee accountant in Portsmouth, as they are being trained under some experienced professional and are thus, highly beneficial for the company as well. The Portsmouth accountants have analysed and understood the market in the city for years, and thus, possess the ability to make crucial decisions for the growth of a company. With the assurance of the skill level of our staff members and partners, your company shall never find any need for negative comments or feedback. Apart from chartered accountants, one can as well find the need for tax accountants in Portsmouth. However, the major demand is for chartered accountants alone, who manage to even take up the tasks of tax accountants. Every independent company or entrepreneur is eligible for becoming a member of the IPSE. It stands for Independent Professionals and Self-Employed Association. This group is the largest cluster of all private businesses and independent professionals in the UK as well as the EU. Being a member derives great advantage for a company due to the benefits provided by the IPSE. The advantages covered by the IPSE are in the fields of insurance and finance, taxes and specialised services of various other kinds, for free. Moreover, the IPSE provides with different compensations as well, when a self-employed individual is unable to continue along with his routine business or work due to any illness, injuries or health issues. We, at DNS, provide with the service of quickly registering your company to become a member of the IPSE, at a very minimal rate. Filling out the application may become confusing, and thus, this is when our service turns out to be of great use. Further, we shall even keep you well aware of the happenings of the IPSE. Various companies and other businesses struggle with the submission of the year-end accounting statements to the required board or department (Companies House in the case of companies). Thus, this may result in a delay in the submission of the required accounting statements. Moreover, there may as well be a possibility of profits or losses wrongly shown in the accounting statements, which may later result in a penalty from the Companies House or any other committee. Thus, to avoid any unnecessary losses due to penalties, we, at DNS Accountants, provide proficient services for year-end accounts. Moreover, we look to it that there shall be no delay in the work submitted. We even ensure accuracy and thrive hard to increase the earnings of the company by any legal means possible. Thus, our services may turn out to be highly beneficial for your business. With the rise in Portsmouth accounting and finance needs, various accountancy firms in Portsmouth have sowed their seeds to cater to the needs of the companies operating in the city. However, not every accountancy firm in the city has been able to satisfy the clients. 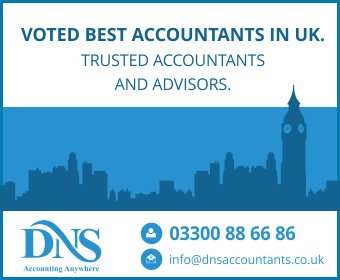 Out of the various other accountancy firms, DNS has remained on the top of the list in all of the England due to its exhilarating and exemplary services. With in-depth knowledge of the subject, the accountants in Portsmouth working with DNS are the most preferred accountants by any company in the city. Moreover, DNS has been serving in many other places apart from Portsmouth, like Gosport, Fareham, Hayling Island, Stubbington, Southampton, Reading and many more locations in England. With providing the best services, DNS ensures to continue to serve similarly, for the growth and benefits of your company.